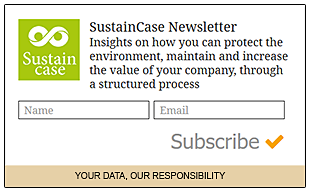 This case study is based on the 2016 Global Responsibility Report by Walmart published on the Global Reporting Initiative Sustainability Disclosure Database that can be found at this link. Through all case studies we aim to demonstrate that CSR/ sustainability reporting done responsibly is achieved by identifying a company’s most important impacts on the environment and stakeholders and by measuring, managing and changing. In its 2016 Global Responsibility Report Walmart identified a range of material issues, such as supporting local manufacturing, continuing responsible sourcing practices, ensuring food and product safety, eliminating waste in operations, supporting local community causes. Among these, in the face of global warming and amidst global efforts to combat climate change, reducing energy intensity and emissions in its operations stands out as a key material issue for Walmart. Walmart engaged with its stakeholders, to explore their perspectives on its most important issues, through interviews, discussions, working sessions and surveys, which included a 1,750-respondent survey carried out by Sustainalytics. 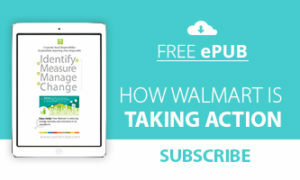 What actions were taken by Walmart to reduce energy intensity and emissions in its operations? 2015: Walmart had more than 2 billion kWh of renewable energy installed or contracted from over 470 projects globally. 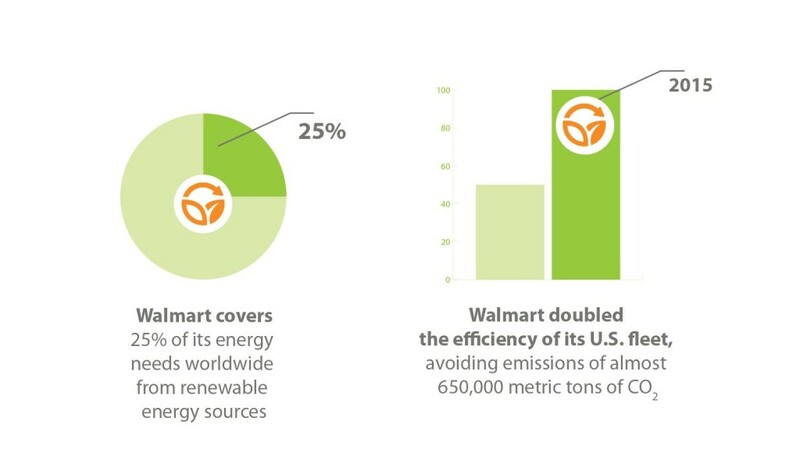 Walmart covers 25% of its energy needs worldwide from renewable energy sources. 2014: Walmart installed more than 10,000 high-efficiency rooftop heating and cooling units (RTUs), saving 89 million kWh per year. 2015: Walmart operated with 10% less energy per square foot (compared to 2010), a 1% improvement in comparison with 2014. 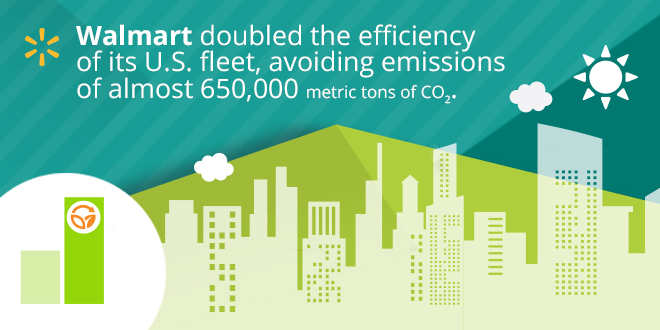 [tweetthis]2015: Walmart doubled the efficiency of its U.S. fleet[/tweetthis], avoiding emissions of almost 650,000 metric tons of CO2. 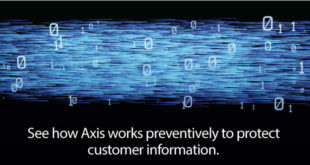 Note to Walmart: With each case study we send out an email to your listed address in request for a comment on this case study. If you have not received such an email please contact us.